Sky Watch Friday fans like to celebrate the sky in all its different forms. 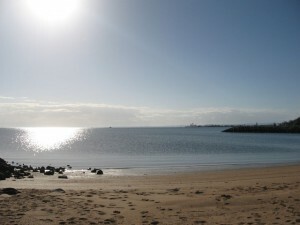 One of my favourites is a morning walks on the beach and watching the sun toss glitter on the water. 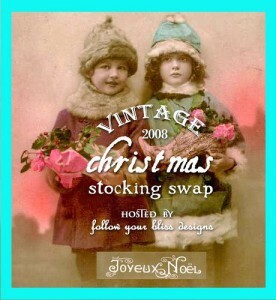 Mary Ann of Follow Your Bliss is hosting another ‘Vintage Stocking Swap’. We had the best fun last year meeting other crafters from around the globe, creating the most amazing versions of vintage stockings. If you would like to join in, you will have to be fast and click here. 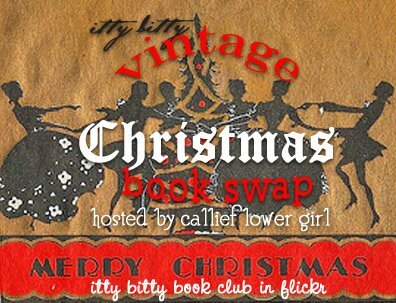 MaryAnn’s itty bitty ‘Vintage Christmas Book’ club is already filled. Will post some photos of what we are making a bit closer to the season. To get in the mood, Mandi of Whispering Christmas Dreams is posting a yearly count down blog that is all the more fun when listening to the music out of season. This is what I call a very pretty picture. It makes me want to go there or to be there. Nice. Oprah has it right–and so do you with this picture! That’s an amazing sky-graph. I guess you can only get a reflection like that in the morning. I wouldn’t know because I’m not a morning person and neither is my camera! This scene represents our country to a T. I bet we could find it dotted around the entire coast – maybe minus a few footprints.<BR/><BR/>Quite gorgeous, Mandy. Thank you. Sometimes all we need is a little ray of sunshine. Lovely post. So beautiful and a great SWF photo! Well done! Looks like a soothing place to be. Would love to sit there and read a book right now. Pearl: That Sun looks monsterous in your shot, nicely done. What a beautiful reflection!<BR/>I’ve been doing reflecions this week and I’m really drawn to this one.<BR/>Well done. I would love to take a walk along that beach. Wow that photo is incredible…a difficult one to get also..and I love the quote from Oprah..you have such a lovely blog here..hope you have a great weekend and please come and see my big surprise for sky watch this week. cheers. What a beautiful reflection you have captured in this photo – just stunning! 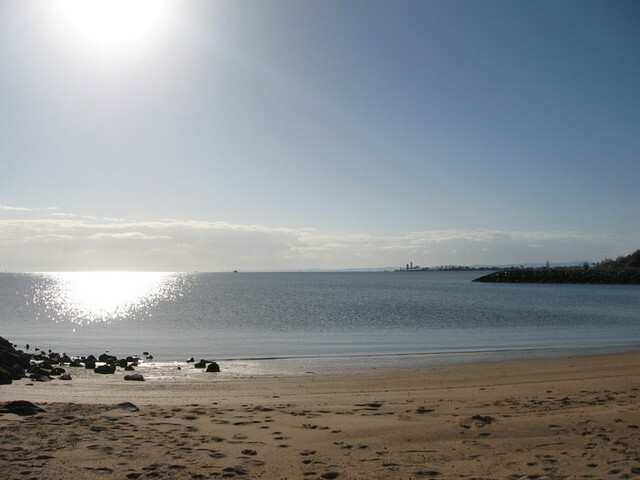 Yes Mandy, this is wonderful,the sun pure silver, glittering and tantalizing, on a lovely morning on the beach. A wonderful perspective of the sky! I can almost see the sun twice in this picture. Love the reflected light in the water. Light is such a wonderful thing. I really do look forward to your words as much as great pictures.. <BR/>Tom. like diamonds on the water! I can see why this would be one of your favourites. Amazing shot. I love how it all flows together. I’d love to walk there. Gorgeous! and I appreciated the quote as well. Nice work<BR/>Happy weekend! Your photo is so beautiful, I like the light coming in at the side. I have had a look and your blog is beautiful. I will be back to look further. Happy SWF. Christmas ? Tu as de l’avance…<BR/><BR/>Le ciel est joli ! Love what you said about the glitter!<BR/>I’m having trouble finding any info on the stocking swap? A flickr page?